The Friends of the Old Stone Barracks is committed to securing the highest and best use for the Barracks and its seven acre site through a process of engaging the public and soliciting ideas and proposals from a variety of public, nonprofit, and private entities. great news! Valcour brewing company will both preserve the barracks and transform the building into a craft brewery, tasting room, events space and inn... all of which will have very positive economic and cultural impacts on the region. Held at the Town of Plattsburgh, 151 Banker Road. Proposals were also submitted by email or appointment. The proposal period has ended, thank you for your participation in this process! 1. How will the proposed project or plan serve the North Country Community? 2. To what extent will the project preserve the historic integrity of the building and the open space of the site? 3. How will the project be financed and how will it produce a sufficient cash flow to provide for the maintenance of the building and grounds? 4. For a proposal submitted by a business or not-for-profit entity, what is the capacity of the entity proposing the project to carry it out? 5. Does the proposal include sketches showing a proposed floor plan and exterior of the building as modifications for its stated use and any uses of other units of the property, i.e. grounds, powder magazine, parking, etc.? 6. 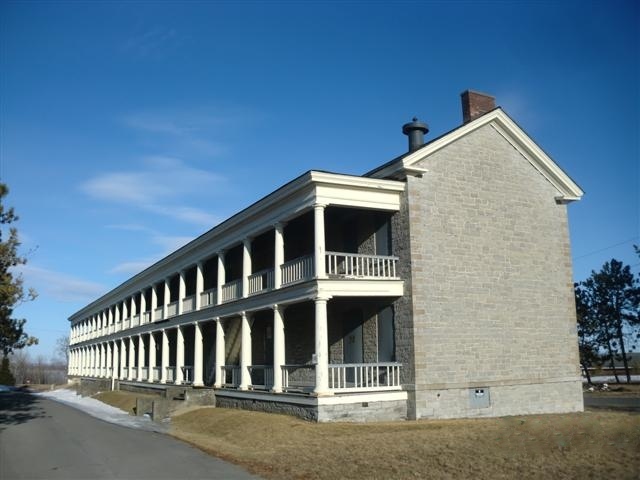 The project is subject to approval by authorities that hold jurisdiction over the property which may include the City of Plattsburgh, NYS Parks and Recreation State Historic Preservation Office, Friends of the Old Stone Barracks, Inc. and its partner, Adirondack Architectural Heritage.